Mohammed bin Ahmed Al Bowardi, UAE Minister of State for Defense Affairs, attended the opening ceremony of the Africa Aerospace and Defense (AAD) Expo taking place 19 to 23 September 2018 at its long-standing home of Air Force Base Waterkloof in Tshwane, Pretoria. Invited by Nosiviwe Mapisa-Nqakula, South African Minister of Defense and Military Veterans, Al Bowardi, along with his accompanying delegation, was shown around the exhibition, which comprised of world-class air and mobility track demonstrations, parachute drops, aerobatic displays and many other static displays from some of the biggest names in the aviation and defense industry who are presenting their latest and greatest aircraft during the event, Emirates news agency WAM reported. AAD is Africa’s only aerospace and defense expo that combines both a trade exhibition and an air show. 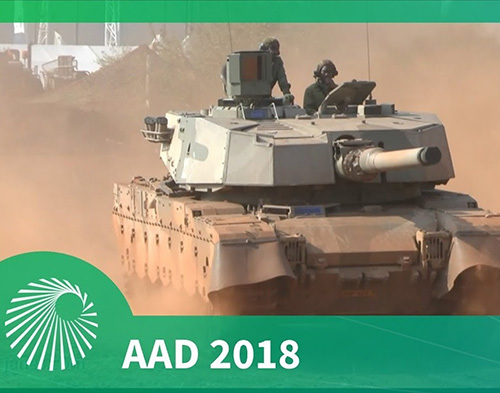 Held biennially in the City of Tshwane - South Africa’s administrative capital, the AAD Expo is one of South Africa’s largest contributors to the country’s GDP in show years, and is regarded as a national asset. Managed on a rotation basis by a partnership comprising the Department of Defense (DOD), Armscor, the South African Aerospace, Maritime and Defense Industry Association (AMD) and the Commercial Aviation Association of Southern Africa (CAASA), AAD2018 is once again a world-class showcase, with spectacular aerial and ground displays, some of which have never been seen before on the African continent, according to the organizers. A new feature on the AAD2018 program includes special seminars, covering topical subjects such as “Cyber Security” and “The Future of Drones”.